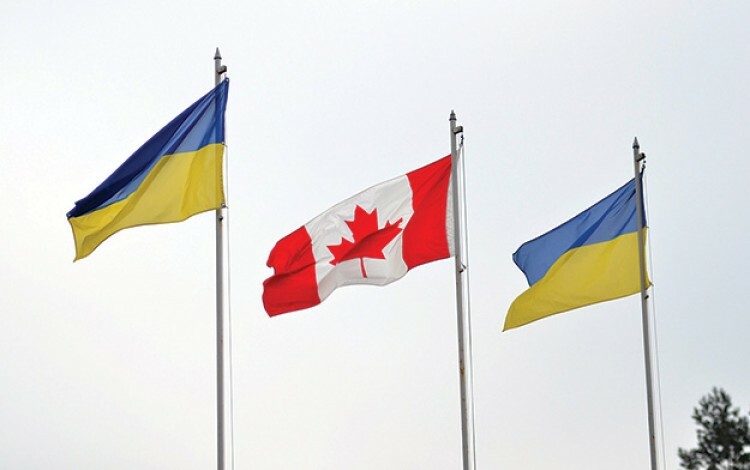 Canadian Ambassador to Ukraine Roman Waschuk sees the historically close bilateral relationship between Ukraine and Canada expanding beyond its traditional diaspora core as a recently inked free trade agreement opens up new avenues of opportunity. Few countries have deeper links to independent Ukraine than Canada, which is home to one of the world’s largest Ukrainian diaspora communities. Since taking up his post in Kyiv in October 2014, Canadian Ambassador to Ukraine Roman Waschuk has been party to some of the most significant developments in this special relationship. From free trade to military training, the Canada-Ukraine relationship has taken on a number of new dimensions in recent years that are allowing both countries to expand upon the inbuilt advantages presented by the prominence of the Ukrainian diaspora in Canada. The signing of Canada and Ukraine’s free trade agreement took place amid much fanfare in summer 2016 during an official visit to Ukraine by Canadian PM Justin Trudeau. As star-struck Kyivites lined up to pose for selfies with the rock star Canadian political leader, many in the business community noted the wider significance of the landmark agreement. The Canada-Ukraine Free Trade Agreement (CUFTA) came fully into force in summer 2017 and has already made an impact of bilateral trade ties. “Over the past year, we’ve witnessed double digit growth on both sides in terms of trade. What we are now seeing is a broadening of this trade relationship, with people trying new kinds of products. Entirely new categories are appearing that did not previously exist,” says Ambassador Waschuk. Looking ahead, Ambassador Waschuk is confident that the current growth dynamic will continue. He believes this will include expansion of existing trade alongside the emergence of additional new directions. 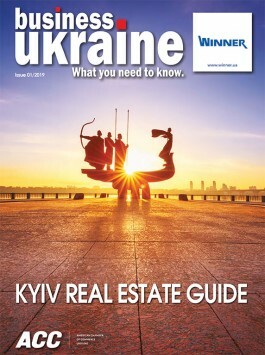 Canadian companies have recently made impressive inroads into the supply of agricultural machinery to Ukraine, and this segment looks set to expand further as Ukrainian agribusinesses seek to upgrade and modernize their operations. Less obvious avenues for cooperation include pet food imports from Canada for gourmet Kyiv cats and dogs. In the opposite direction, Ambassador Waschuk points to the rising potential of the Ukrainian manufacturing sector and says there has been a strong Canadian response to Ukrainian foodstuffs. “People generally are pleasantly surprised at the inventiveness of Ukrainian exporters. The kind of flavors and combinations of the products they offer have proved interesting and new to the Canadian market.” Meanwhile, the IT sector looks set to remain at the heart of bilateral economic ties, with additional hub projects expected to cement the already strong tech links between the two countries. In addition to heading up Canada’s diplomatic mission to Ukraine, Ambassador Waschuk also currently holds the rotating leadership of the G7 Support Group, an international initiative unique to Ukraine that brings together the ambassadors of G7 nations Canada, the United States, the United Kingdom, Germany, France, Italy and Japan. Established in 2015 during Germany’s Chairmanship of the G7, the G7 Support Group aims specifically to support the reform process in Ukraine. Many see it as an interesting test case and a potential model for G7 diplomacy in other geopolitical hotspots. Since the outbreak of hostilities with Russia in 2014, Canada has been at the forefront of efforts to bolster Ukraine’s defense capabilities. The Canadian government’s Operation Unifier training mission to Ukraine got underway in 2015 and has so far seen hundreds of Canadian military personnel working in the country alongside their Ukrainian counterparts. What began largely as one-to-one training has since evolved into a far more value-added process of engagement involving mentoring and training for trainers, who are then able to pass the message on to far larger numbers of Ukrainian soldiers. The mission has also branched out geographically from its initial focus at the Yavoriv military base in western Ukraine, with Canadian trainers now also present at the Desna base near to Kyiv and at the Ukrainian Military Academy in Black Sea port city Odesa. Ambassador Waschuk says Operation Unifier is now widely recognized within the Canadian military as a model for how Canada can build capacity internationally with other armed forces. He believes this is at least partially due to the right preparation. “One of the key elements behind the success of the mission is the fact that our military has recognized the importance of looking and listening before embarking on any training. You cannot come in with preconceived notions of what you are going to encounter and expect positive results. Instead, it is crucial to see what the actual needs are on the ground and adapt your training accordingly.” This process has involved considerable cultural training prior to deployment in Ukraine, coupled with an expanding outreach program once officers arrive in the country. Canada’s military training mission to Ukraine has proven to be a two-way street offering valuable insights into hybrid warfare for the Canadian side to take home and incorporate into their military thinking. Many of the Ukrainians currently engaged in training with their Canadian colleagues are fresh from the frontlines of the confrontation against hybrid Russian forces who are able to deploy some of the Kremlin’s most advanced military technologies and tactics. Speaking in late 2017, the then-commander of Operation Unifier Lieutenant-Colonel Kristopher Reeves said this made Ukraine “a battle laboratory” where it was possible to witness “the whole spectrum of hybrid warfare in action.” Ambassador Waschuk concurs, recounting how the Commander of the Canadian Army Lieutenant General Paul Wynnyk recently announced that the Canadian military has incorporated Ukrainian lessons learned from the Donbas conflict into their training scenarios. “As we have a deployment in Latvia, these are very much transferrable lessons,” he adds.